Back pain is one of the most wide-spread pain conditions in the U.S, with approximately 80-90% of the population experiencing it at some point in their life, according to the National Institute of Neurological Disorders and Stroke. Fortunately, if you suffer from lower back pain, there are many different treatments for lower back pain. These may include exercise, massage, physical therapy, or interventional treatments like epidural steroid injections. Here are 25 of our favorite ways to find lower back pain relief, fast. Before trying any of these options, make sure you’re approved to do so by your doctor. In some cases, certain exercises or therapies may exacerbate your pain, depending on its source. With X-rays and MRIs abounding these days, it would seem that a proper diagnosis is easy, but in many cases, patients are over- or under-diagnosed for their condition. A new scan called single photon emission computed tomography, combined with computed tomography (SPECT/CT) is able to look for causes of low back pain that are not structural in nature, offering more accurate diagnoses. Patients who underwent this type of scan in addition to more traditional bone scans achieved 50% greater pain relief than those who did not, indicating that their treatments were more accurate due to a more accurate initial diagnosis. Likewise, working with a dedicated back pain doctor can help you more accurately diagnose your condition. And, with a better diagnosis, can come better treatments. In many cases, low back pain is caused by inadequate use of the muscles in the body, and the key way to reduce lower back pain fast is to start with exercise. Low impact exercise like walking is a great place to start, and swimming, a low impact exercise that utilizes the whole body, is even better. Talk to your pain doctor, then start your new exercise plan slowly, adding length to the workout or intensity as you build strength. Our post, “Exercise Is Really THAT Important For Lower Back Pain” goes over much of the research related to this. Head on over to their page to watch videos that show how to do each pose correctly. For lower back pain with its roots in inflammation, eliminating inflammatory foods from the diet can be a great way to help control pain. Gluten, dairy, and sugar are common inflammatory foods. The good news is that there are all kinds of options to make these changes easier. There are also many delicious inflammation-fighting foods to substitute, such as salmon (or other fish with omega-3s), tart cherries, ginger, almonds, and turmeric. Find all of our tips for improving your sleep quality, including finding a better mattress and pillow, here. Think about the structure of the lower back. One thin column of vertebrae is the only body structure that connects the upper body with the lower. This spiny column is surrounded by muscles, tissues and organs. Supporting all of this is a lot to ask, especially if extra weight is present in that area. For those who have gained weight and are carrying it mostly in their belly, the lumbar curve can become overly pronounced (referred to as lordosis), placing extra strain on the lumbar vertebrae that results in low back pain. Losing weight and adding muscle to the core can decrease this strain and help support the spine. Meditation can be a wonderful tool for reducing lower back pain. Can you believe sitting and focusing on your breathing can actually improve your life? It’s true. Studies show a clear connection. In a 2011 Journal of Neuroscience study, researchers found a group of volunteers sharply reduced their pain perceptions after engaging in 20-minute meditation sessions for four days. The volunteers received mild burns during this, but meditating reduced the pain intensity ratings by 40%. Biofeedback training is the process whereby a patient learns to recognize the physical signs of stress in the body brought on by pain. They then learn techniques to help control the stress response, easing the pain and working through it. While this does not necessarily eliminate the physical cause of pain, research has shown that biofeedback training can greatly decrease the sensation of pain in the body. There are no side effects to practicing biofeedback responses. Massage is a great way to encourage tight muscles to relax. In the beginning of treatment, patients may only be able to tolerate the lightest of touches. By the end, the massage therapist may be leaning into crunchy places with an elbow, working the kinks out of the deepest tissues in the body. You might also consider adding in some aromatherapy. Dr. Axe advises that some in particular, such as peppermint, are great at reducing inflammation. While this method of stretching is fairly new with less empirical research behind it, it encourages healing by creating movement and activity in areas of the body that are typically static. (Think sitting on that chair all day.) The ModernHealthMonk gives a great overview of this therapy, with some stretches to try. It’s not one of the fastest ways to find lower back pain relief, but it may be one of the more simple ways. Acupressure practitioners claim that by pressing certain points on the body, you can help reduce tension and lower back pain. It’s an easy practice to try out from the comfort of your own chair. Similar to acupressure, many rave about how using tennis balls to target these pain points have helped them find lower back pain relief fast. The BackPainAdvisor has a longer explanation for how to use tennis balls to relieve pain. Often used in conjunction with other methods of pain relief, physical therapy can be one of the best ways to learn proper and appropriate rehabilitation techniques for lower back pain. Exercise is great, but many people with good intentions hit the gym and use equipment improperly, causing further injury. A physical therapist works with a patient’s doctor to help design a specific program and then teaches proper form to get the most benefit. They can also map out an exercise plan for further strengthening and injury prevention. Acupuncture is an ancient Chinese medical practice that focuses on opening up the energy channels in the body by inserting hair-like needles into specific points in the body. Reliable research studies of acupuncture’s effectiveness are mixed, but many people report lower back pain relief fast with few or no side effects. Some insurance companies now cover this outpatient treatment for the cost of a co-pay, so it may be worth a try! Sometimes all your low back needs is the anti-inflammatory boost of an over-the-counter medication like ibuprofen. As a long-term solution and taken in high doses, non-steroidal anti-inflammatory drugs (NSAIDs) have been shown to have serious side effects like gastrointestinal bleeding, but for an acute injury or in the case of a minor back strain, NSAIDs can be a safe, effective treatment. While not recommended for long-term, chronic pain, some prescription medications can be very effective in treating short-term, acute back pain. 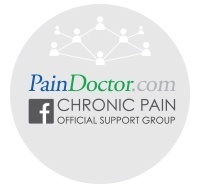 Opioids have a controversial history that includes an increase in the rates of dependence and a decrease in effectiveness, as we covered in our post “Sorry, Opioids Probably Aren’t Helping Your Lower Back Pain.” For specific types of back pain, however, other types of medications may help, such as muscle relaxants or antidepressants. Facet joint injections and medial branch blocks are two minimally-invasive surgical techniques that can be used both as a diagnostic tool and as a way to relieve low back pain. In this outpatient treatment, doctors inject a numbing agent either directly into the joint (facet) or into the affected nerve (medial branch). If pain relief is achieved, the treatment is successful and can be repeated up to three times per year. If it is not effective, then the doctor has eliminated a possible cause of pain. Side effects are minimal and usually eliminated by proper placement of the needle. Lumbar facet nerve block: These injections are administered in the same manner as facet joint injections along the sides of the spine. There may be one or more injections, depending on the severity of the pain. These blocks can be therapeutic, blocking pain, or diagnostic to see if the back is where the issue lies. If a patient has a cold or the flu or is on blood thinners, the doctor will not be able to perform this intervention. Sacroiliac injections: Sacroiliac injections are given directly into the sacroiliac joint. These injections can offer lower back pain relief fast, with results that lasts from 24-48 hours with a steroid medication, or just a couple hours with a local anesthetic. These can also be used as diagnostic tools. Epidural steroid injections: The goal of these injections is to reduce inflammation and pain in the nerve roots as they exit the spine. A local anesthetic and a steroid are injected into the epidural space, the area right outside the membrane that covers the spinal cord and its nerves. Patients can experience a significant reduction in pain due to these injections, but more than one is generally needed. If these 25 options for finding back pain relief fast didn’t work for you, there are more intensive options. Surgical options such as spinal fusion and discography are at the extreme end of treatment options. They are more invasive than other treatments listed, but in the hands of an experienced pain management and spine specialist, they can be effective at relieving certain types of severe low back pain. When tackling lower back pain, your best bet is to work closely with a back pain doctor who can first diagnose the exact cause of your pain and then work diligently to find options that work best for your pain. Click the button below to find a doctor in your area.